RUN YOUR RACE WITH PURPOSE. I want to briefly explore a couple of verses that show us that God has plans and purposes for our lives. Often, or at least sometimes, we will spend time worrying about our temptations, our tests, our haters, our past, what other people think, etc. None of these are important when it comes to what God has for you. We must run the race God has laid out for us. Some years ago, Pastor Rick Warren of the Saddleback Church released a book called “The Purpose Driven Life.” It became one of the bestsellers of all time – people want to know what God has in store. He has plans and purposes. We must be lined up with them. We will have more peace and more clarity. The work will still be hard but not nearly as burdensome as it is when we are “not in our lane.” Hebrews 12:1, Jeremiah 29:11, and Matthew 6:31-34 give us some framework for understanding that God has something in store for us. We must be plugged into God’s plans, God’s purposes and God’s way. RUN YOUR RACE WITH PURPOSE! 1. Run Your Race/Hebrews 12:1. Paul does some majestic writing in Hebrews.Hebrews 11 and 12 work well together. Coming from chapter 11, Hebrews 12:1 envisions a great cloud of witnesses as we prepare to run the race God has given. From Hebrews 11 we see the “roll call of faith” . . . those faithful servants who have come before us as evidence and encouragement of being faithful to God. Hebrews 12:1 then exhorts us to do three things: (1) throw off everything that hinders you, (2) throw off the sin that so easily entangles, and (3) run, with perseverance, the race that is marked off for you. God has a race marked out for us. Other than sin, what types of things stop us from doing what God want us to do? It is challenging to run with a lot of baggage. Once freed from the baggage what does it mean to run with perseverance? Are we able to do that? What does it mean to you to know that there is a particular race laid out for you? Consider the french relay runner in the video. She knew exactly the race she was going to run and she did not deviate from it. In the end she was victorious. 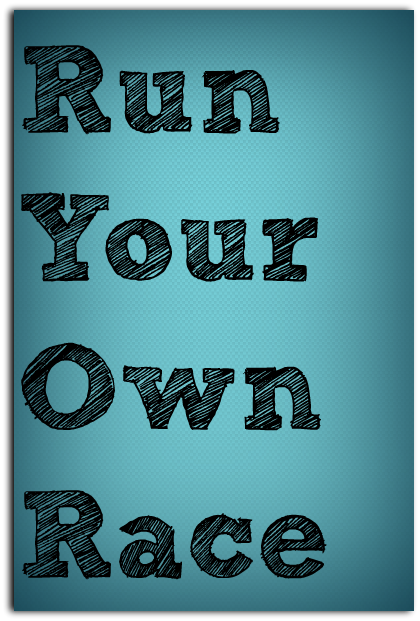 Run your race. 2. God’s Plan for You/Jeremiah 29:11. The prophet Jeremiah makes it plain. He tells us this about our God . . . “For I know the plans I have for you,” declares the Lord, “plans to prosper you and not to harm you, plans to give you hope and a future.” There are several declarations. (1) God has plans for you, (2) His plans are to prosper you, (3) His plans are not to harm you, and (4) God’s plans are for your hope and your future. It is important to remember that this word was spoken to a people in exile. It was going to be a while but ultimately God’s word came to pass. God has plans for you. When we are a parent or have some responsibility for someone, we can appreciate what it means to have plans for their best – even when they don’t realize it. Do we realize that God has plans for us? Is it hard to believe this about our God? Why or why not?? (consider Matthew 7:11 and Luke 11:13). God’s plans are to prosper us and not to harm us. Is this a challenge? Do we sometimes think God is indifferent, wants to see us do badly, or doesn’t want us to succeed? What cause us to think these thoughts? Why is it important to know and to remember that God’s plans are to give us hope and to give us a future? Are we sometimes without or down on our hope? Do we always see or believe in our future? 3. Seek Ye First/Matthew 6:33.The third point is about approaching purpose. How do we identify those purposes and plans? There is no trick or no shortcut. We must spend time with God. We must spend time in church, time in prayer, time in study, time in reflection and meditation, time journaling. We must spend time with God. Matthew 6:33 says (KJV): “But seek ye first the kingdom of God, and his righteousness; and all these things shall be added unto you.” What does this mean to you? Do you seek the kingdom of God first? Do we ever skip over this step?? How do we seek God??? Please remember that God has plans and purposes for your life. Be reminded, particularly in down or confusing times the truths of the Bible. Trust God and don’t lean on your own understanding. Seek God first to get clarity about God’s purposes for your life. And then, when those are clear, run the race that he has marked out for each one of us. Don’t worry about anything around you. Trust and seek His voice and his purpose and run the race in victory.